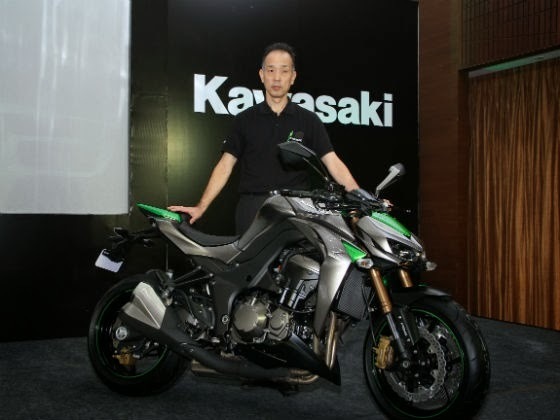 Kawasaki Launched two new bikes in the Indian superbike market clearly displaying its aggressive strategy for India. 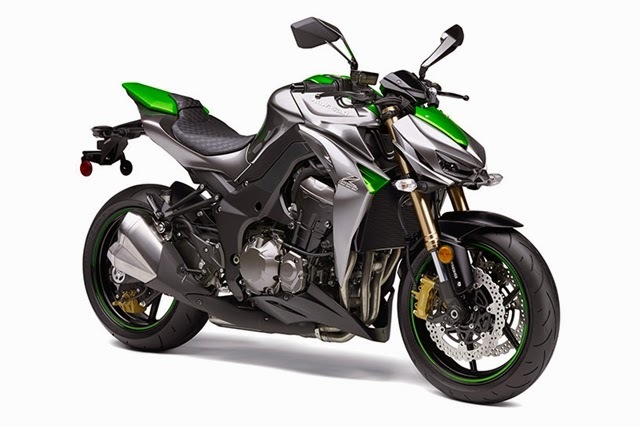 The Z1000 is the naked streetfighter-bike with a dominant silver blended with the Ninja-Green colour. 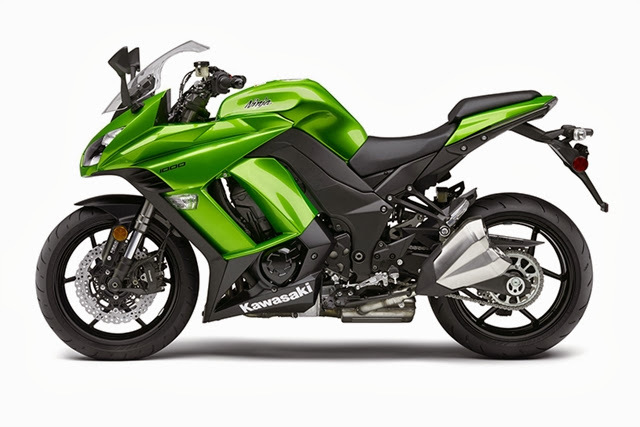 On the other hand the Ninja1000 is a fully faired superbike with dominant Ninja-Green colour. Both these bikes sport symmetrical twin headlamps. 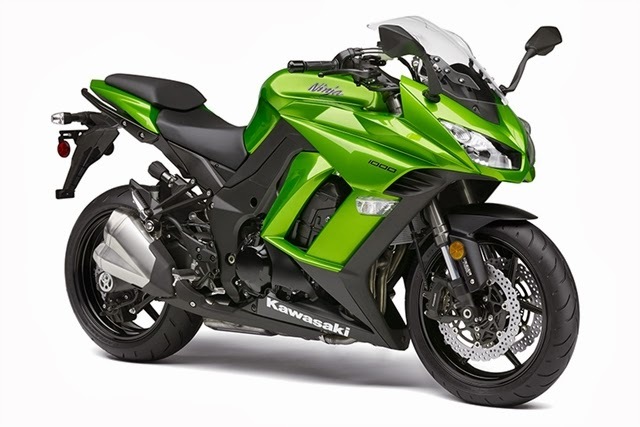 Both the superbikes is powered by the same 1,043cc DOHC, inline four-cylinder, liquid-cooled engine which produces 142PS power@10,000rpm and 111Nm torque@7,300rpm. 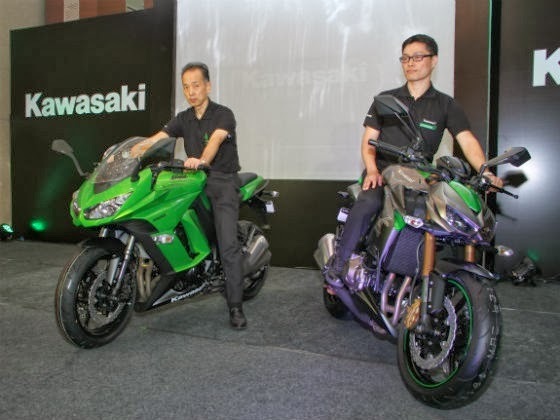 They will be imported to India as Completely Built Unit (CBU) and will be available at the Wakdewadi, Pune dealership as well as the new dealership in Delhi. 24.5 degrees / 4.0 in. 41 mm inverted SFF-BP fork with stepless compression and rebound damping and spring preload adjustability / 4.7 in. Horizontal back-link single shock with adjustable preload and stepless rebound damping / 4.8 in. Horizontal monoshock with stepless rebound damping, remotely adjustable spring preload / 5.4 in. 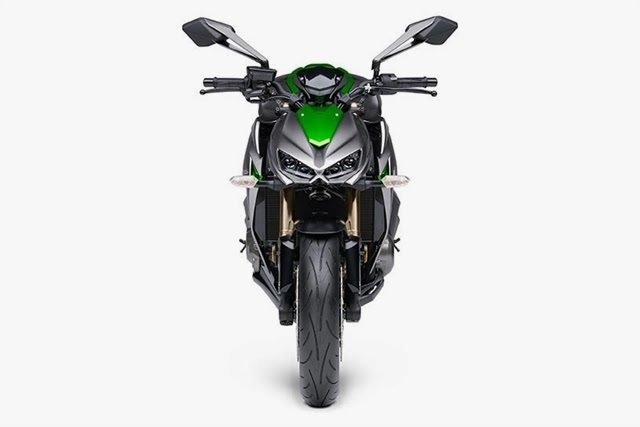 The Z1000 is one of those bikes that at each light output sharpens the pilot's appetite and awakens the desire to give an extra twist in the handle, even if only to feel the thrust of the inline four-cylinder, liquid-cooled 16-valve . 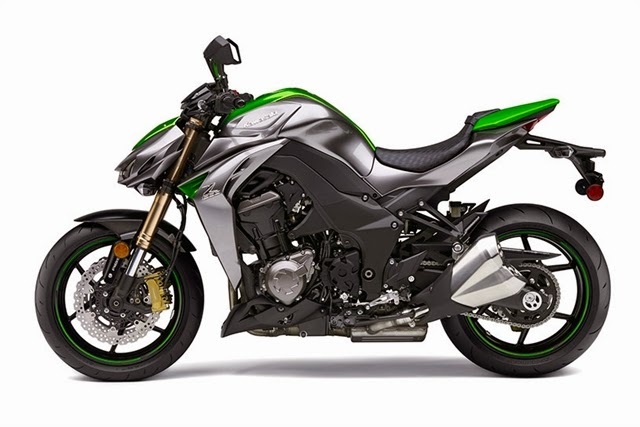 They are 11.2 mkgf of torque (available in full at 7800 rpm) and 138 hp (at 9600 rpm) of maximum power. With 218 kg of weight in running order, the feeling is of a GP start - with the front of the bike taking off with each gear change. The exchange ratio is slightly short and accentuates this tendency, leaving your answers much more ariscas and the retakes, fast in any situation. 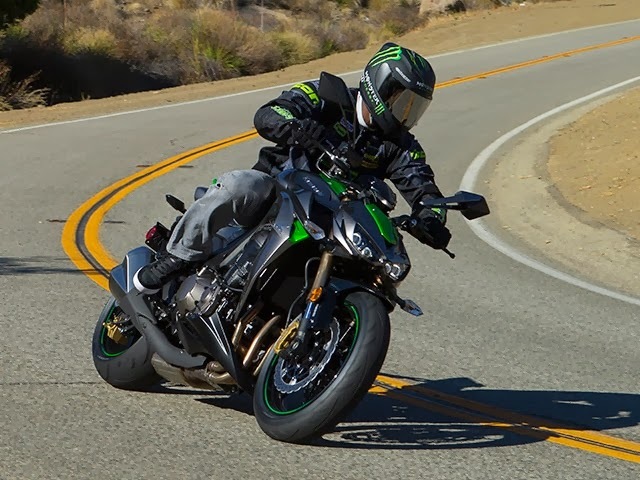 On the test track, it took a narrow 2.1 seconds to pick up, in fifth gear, from 80 to 110 km / h. In the acceleration test of 0 to 100 km / h, it spent 3.7 seconds and the maximum speed on the track stopped at 240.1 km / h (the engine reached the cutting rotation). 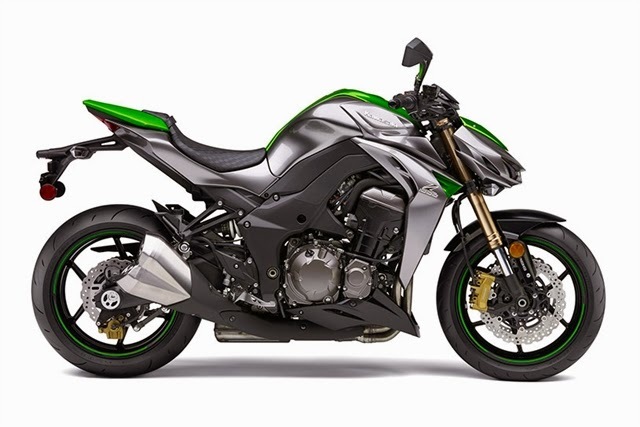 The Z1000 is fast enough to make quiet overtaking with plenty of leftovers, leaving the other vehicle behind in fractions of a second. This whole virility is accompanied by a snoring that rises like a loud roar, almost a battle cry. Delicious to hear. 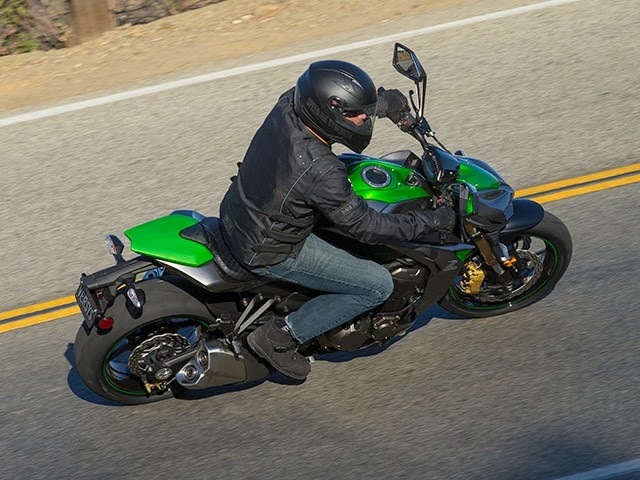 NUA AND LIGHT The cycling part of the Z1000 is well-suited, and its maneuverability is worth 600 cc. The lightness sensation of this great naked is larger than your weight suggests. 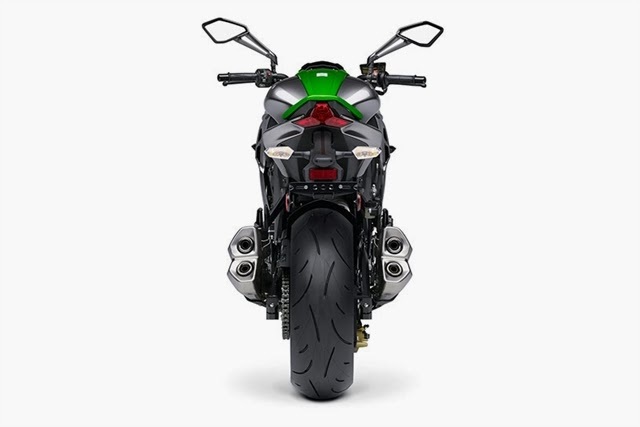 Fully adjustable suspensions - inverted 41 mm flares and rear link mono-bumpers - copy the asphalt well, although on the curves with poor flooring the bike shakes a little. This condition is infrequent and can be debited from the rough floor account. 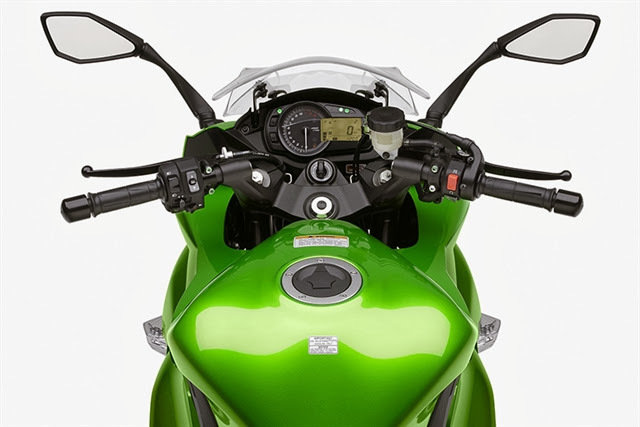 Suspension performance can improve with the adjustments (spring preload, compression and return) the system offers. Another virtue of the new machine is the powerful and very well dimensioned brakes. 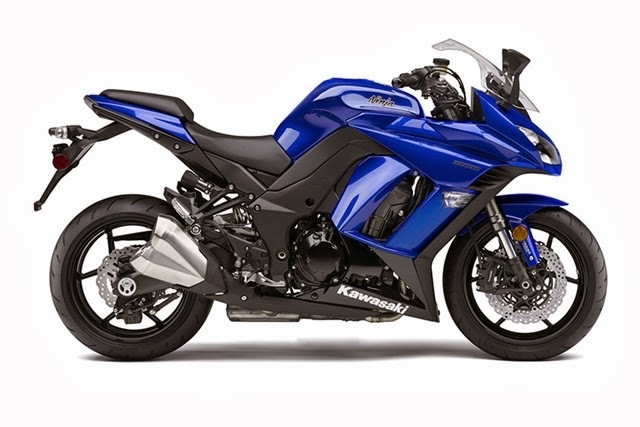 The two 300-mm front discs bit by four-piston radial calipers make it easy to work and have a firm grip. Even so, they require sensitivity and experience for fast braking or panic, especially in front of the 250 mm rear disc, which tends to lock the wheel in the most vigorous braking. The new naked enthusiast from the moment he enters the field of vision of the motorcyclist - and ends up seducing him when he accelerates. 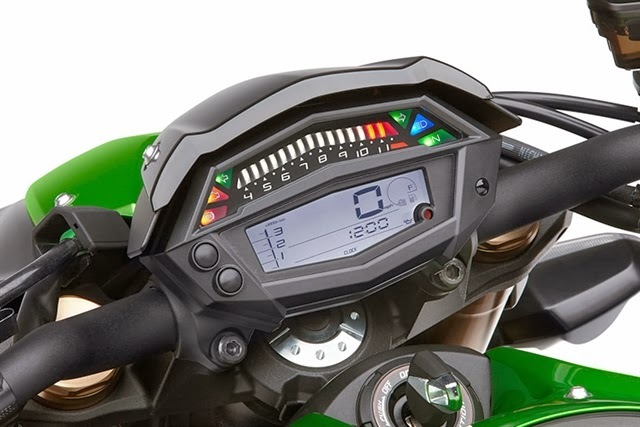 With every kilometer driven, the desire to continue driving the Kawasaki Z1000 ever closer to the ideal zone, between 7000 and 9000 rpm, increases and makes you feel the ferocity, both for pilots and for those who see it, a combination of admiration with some Of intimidation. Thanks for the amazing info Marcos!